DNT+: valiantly protecting your personal information online! No catch. We have a freemium model, meaning that we offer a free base service (DNT+) and separate paid upgrades, such as our DeleteMe service that removes our customers’ personal information from public websites. We are also working on another software offering called PrivacySuite that’s currently in beta, but it will have premium upgradeable features like forwarded emails and phone numbers. The business model is to make awesome products that people love, have lots & lots of free users (and DNT+ will always be free), and then if some of our users want to support us by buying some sort of premium upgrade down the line, we’re good. 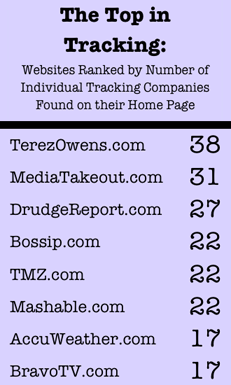 Bet you didn’t know all the companies that were watching you behind the scenes, did you? For a guided tour of DNT click here.